No mad rushing about today as the kids are off school. It's lovely not to have to be out the door at 8.30am. Instead, everyone gets into Mum & Dad's bed for stories and toast. I always remind myself to make the most of these special moments. Puts everything into perspective. Today's outfit is a chilled out drape cardigan from Episode at House of Fraser (sold out - sorry! 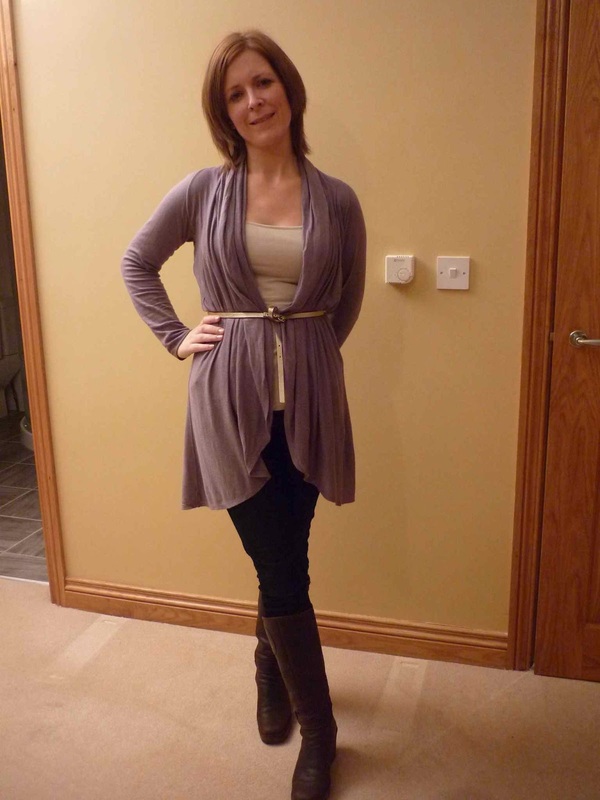 ), Gap vest in a stone colour, metallic belt from Accessorize, the trusty French Connection Jeans and my Fly Vale brown wedge boots. 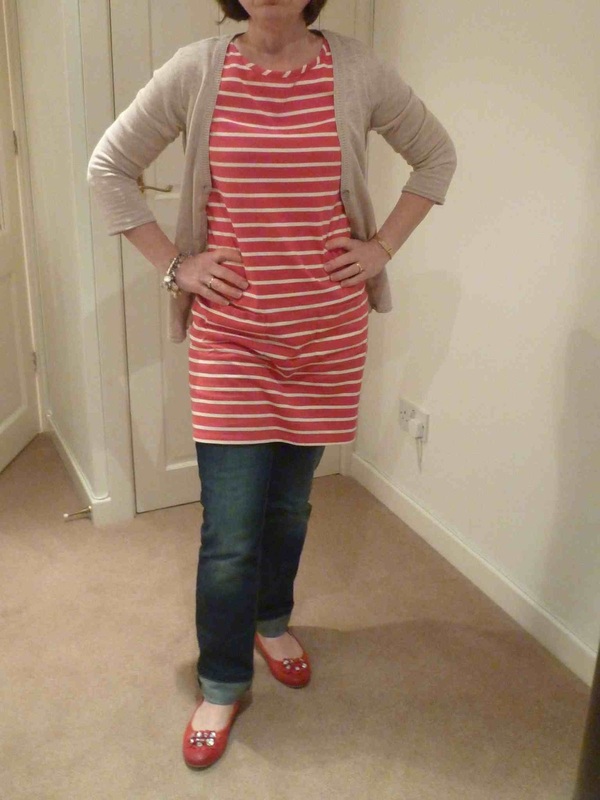 Meanwhile, Claire sent me some pictures of her half term style. I'm loving this Boden Stripe Tunic and when my size is back in stock, I'm going to invest in one. It's a great Summer staple, over Linen trousers, coloured jeans, at the beach. Multi tasking - my favourite kind of clothing! I am now waiting for that tunic in pale blue and have very high hopes!